Posted on July 28, 2013 at 4:31 pm. SCAPPOOSE — Bart Hafeman and friends will perform during the “Raise the Roof” benefit concert tonight in the gazebo at Heritage Park. 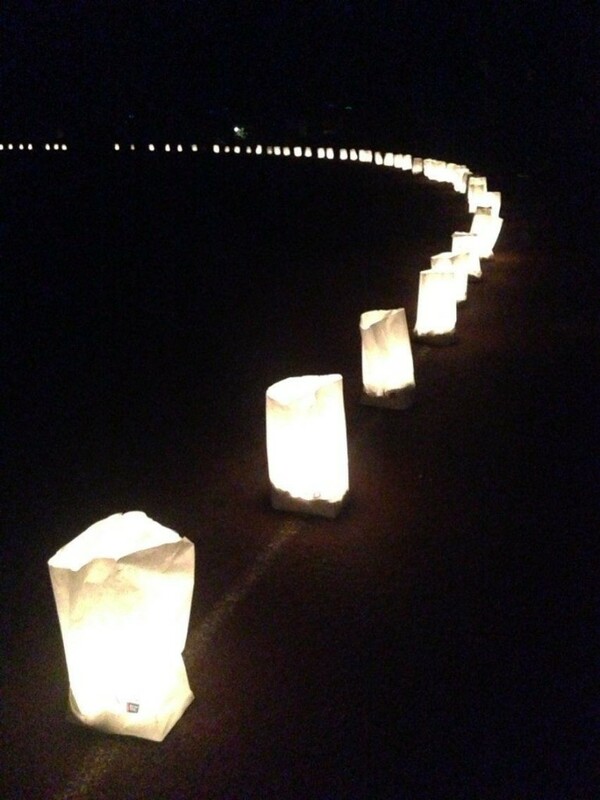 The family-friendly event, sponsored by the Scappoose Historical Society, will be from 5-8 p.m. There will be food vendors and merchant booths, as well as a beer garden hosted by the St. Helens Elk’s Lodge. 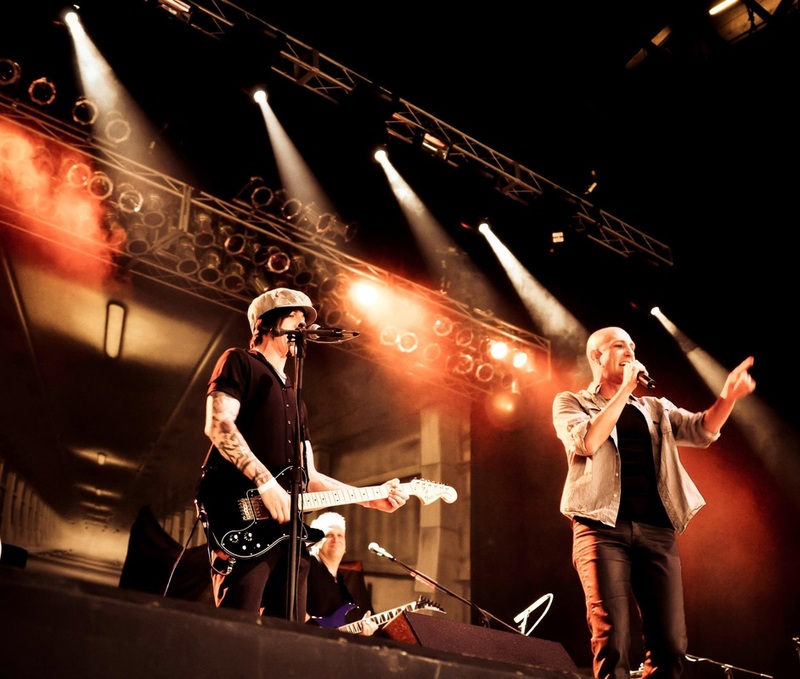 Concert-goers are encouraged to bring blankets and lawn chairs. No outside alcohol is allowed. The purpose of the event is to raise money to replace the roof on the historic Watts House Pioneer Museum. Admission is free; however, donations for the project will be accepted. Information: click here, or call 503-961-5621, or e-mail barb@scappoosehistoricalsociety.vpweb.com. Posted on July 25, 2013 at 3:48 pm. ST. HELENS — Images from the 2013 Columbia County Fair and Rodeo in St. Helens. The fair ran from Wed, July 17, through Sun, July 21. 2013 Columbia County Fair & Rodeo queen, Savanah Ball, prepares to run the American flag during the opening ceremonies of the Saturday night NPRC rodeo. Posted on July 16, 2013 at 11:33 pm. 2013 Columbia County Fair and Rodeo court queen Savanah Ball (left), and princess Savannah Dreyer (right). Courtesy of Columbia County Fair and Rodeo (2013). The 2013 Columbia County Fair and Rodeo court includes queen Savanah Ball, and princess Savannah Dreyer. 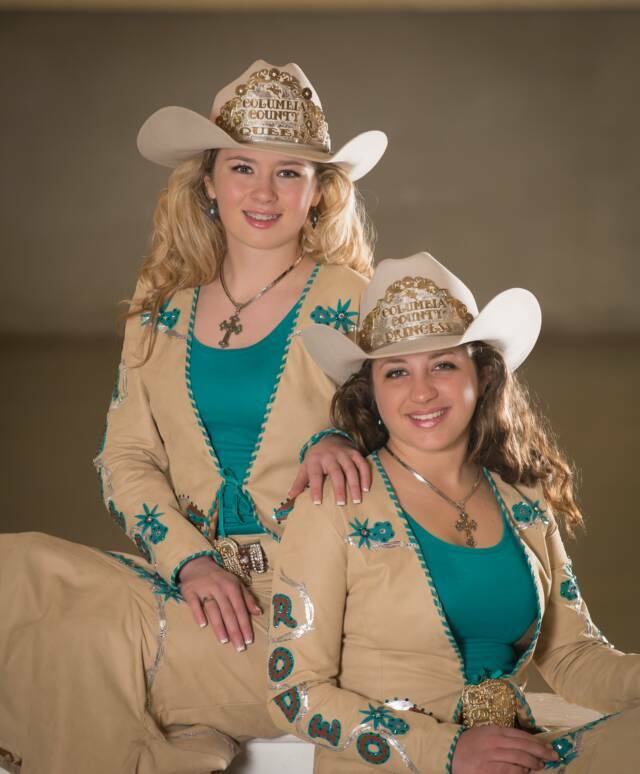 The two young horsewomen have been touring the northwest, representing Columbia County in various parades and at several events, and will be spending much of their time this week at the fairgrounds visiting with fairgoers and participating in rodeo events. A pageant for the 2014 rodeo court will be held Sat, July 20, starting with a horsemanship competition at 9:30 a.m. Speeches and a royalty reception will follow at 1 p.m. The new court will be announced after 7 p.m. during the NPRA rodeo event. Posted on July 16, 2013 at 8:31 pm. 2013 My Fair Lady court (pictured from left) Joanne Bernard, Ann Mitchell, Marian Smith, Delores Mellinger, and Lesle Ruby. Courtesy of Columbia River PUD (2013). 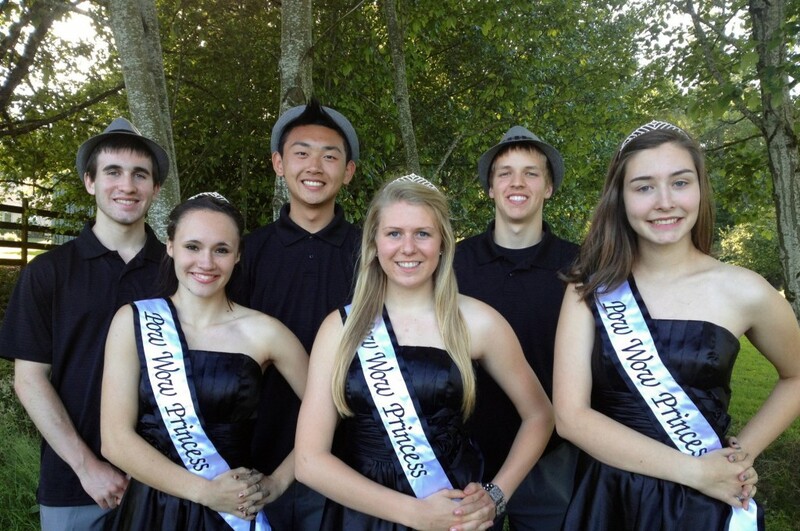 The 2013 My Fair Lady court includes Joanne Bernard of Rainier, Ann Mitchell of Vernonia, Marian Smith of St. Helens, Delores Mellinger of Clatskanie, and Lesle Ruby of Scappoose. A queen will be announced at 1 p.m. Wed, July 17, during a coronation ceremony at the Columbia County Fair and Rodeo. 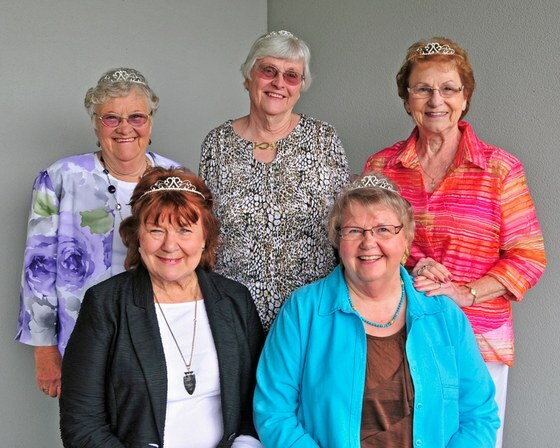 The My Fair Lady pageant is held annually to recognize senior women for outstanding service in their community. The pageant is sponsored by the Columbia River Public Utilities District, the Columbia County Retired and Senior Volunteer Program, and Northwest Apparel. To read court biographies, click here. Posted on July 16, 2013 at 3:51 pm. 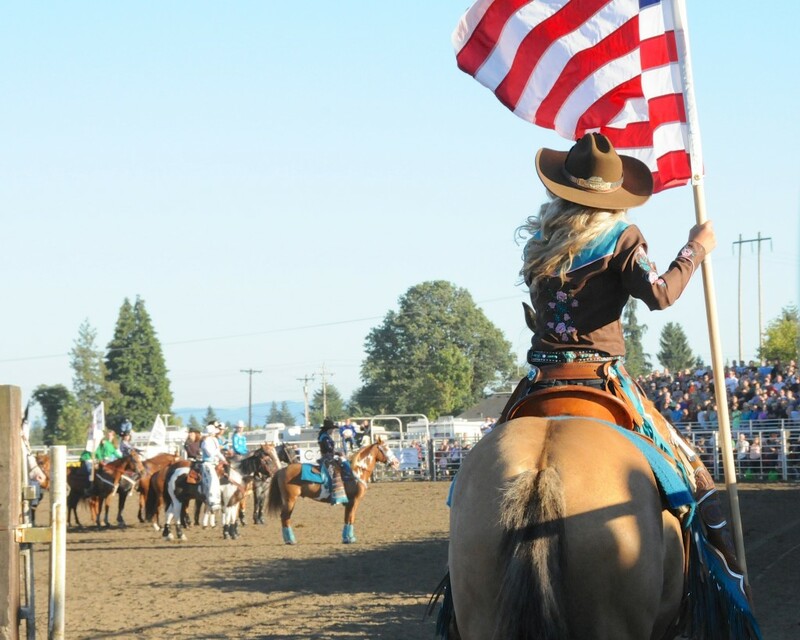 ST. HELENS — The 2013 Columbia County Fair and Rodeo is from Wed, July 17, through Sun, July 21. This year’s theme is “Wagon Teams to Western Dreams”. The fair, located at 58892 Saulser Road in St. Helens, is open from 10 a.m. to 10 p.m. Wednesday and Thursday, 10 a.m. to midnight Friday and Saturday, and 10 a.m. to 5 p.m. Sunday. The carnival begins daily at noon. General admission is $5 to youth and senior citizens, and $8 to others. Children ages 6 and younger are free. Discounts available on advance ticket sales, seasonal passes and special promotional days. Parking is $4 a day, or $16 for all five days. Carnival passes are $31 a day, or $23 in advance. For a list of pre-sale locations, click here. Wednesday – Senior and Veterans Day: Senior citizens and veterans admitted for free until 3 p.m.; 10 a.m., senior services showcase; noon, opening ceremonies; 1 p.m., My Fair Lady pageant; 3 p.m., Professor Bamboozles “The Grand Illusion Show”; 6 p.m., stock car races. Thursday – Kids’ Day: Children ages 7-17 admitted for free until 3 p.m.; 11 a.m., Cutest Show on Earth; 1:45 p.m., world champion taekwondo exhibition; 2 p.m., Professor Bamboozles “Ballonary Loonary”; 6 p.m., junior rodeo; 8:15 p.m., dance central. Friday – Rodeo Day: 12:30 p.m., The Splat Attack; 2 p.m., Marty Davis; 2:30 p.m., The Great Toilet Paper Blowout; 5:15 p.m., Brady Goss and Pete Ford/Dueling Pianos; 7 p.m. NPRA rodeo. 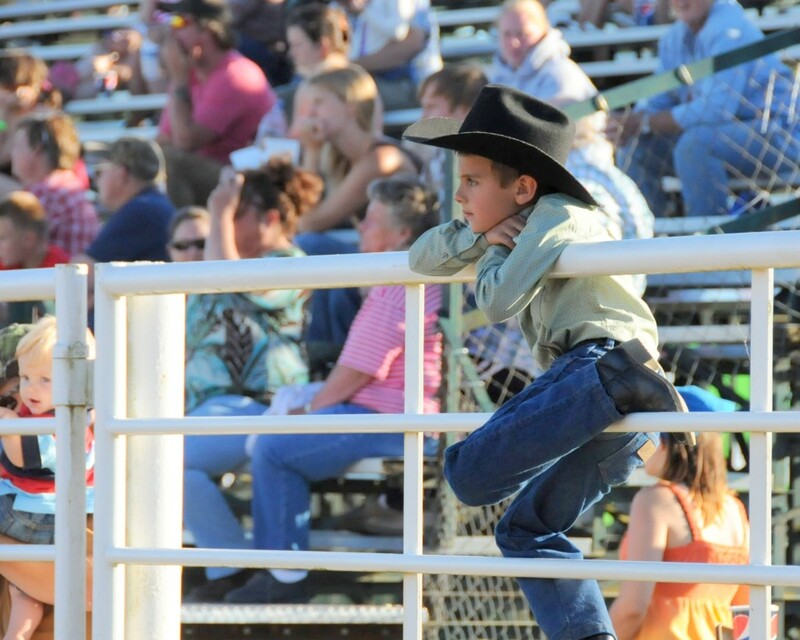 Saturday – Rodeo Day: 1 p.m., 2014 rodeo court pageant (speeches and royalty reception); 3 p.m., SpongeBob trivia game; 3:30 p.m., youth livestock auction; 6 p.m., Cale Moon; 7 p.m., NPRA rodeo (2014 rodeo court announced during event); 9 p.m., dance central. Sunday – Half-Off Day: Fair admission and carnival passes half-off all day; 10 a.m., 4-H sheep fitting contest; 2 p.m., Pete Ford wrestling exhibition; 3 p.m., Kory Johnson. For a complete schedule of events, including 4-H competitions, click here. For more information, call 503-397-4231 between 9 a.m. and 5 p.m. You also can e-mail info@columbiacountyfairgrounds.com, or visit www.columbiacountyfairgrounds.com. Posted on July 6, 2013 at 9:59 pm. Several local artists participated in the trash can painting competition during the St. Helens Fourth of July celebration on Thursday. The competition was sponsored by the St. Helens Arts and Culture Commission. The finished trash cans will be placed in public spaces throughout the city. Posted on June 24, 2013 at 9:22 am. It’s strawberry time in Columbia County. The sweet, juicy, delicious morsels of awesomeness are available for sale at a handful of fruit stands along Highway 30. 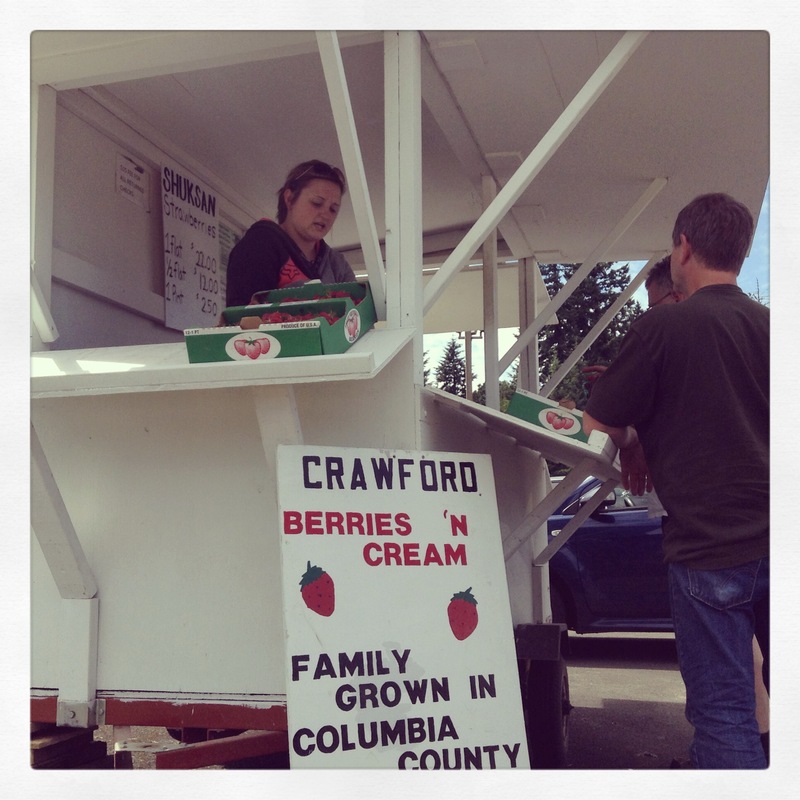 The stand pictured above, which is located at the entrance of Bing’s Restaurant in St. Helens, is run by Crawford Berries N’ Cream out of Rainier, who grow and sell Shuksan strawberries.